Tributes to friends and love ones we’ve lost. Our friend, fellow atlatlist and atlatl maker Brandon Anderson passed away Wednesday evening, July 30, at his home in Waverly, NY. 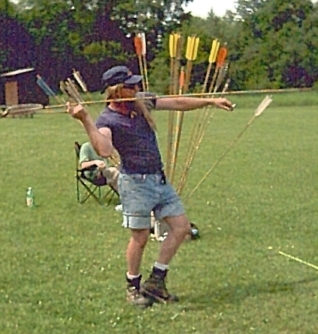 Brandon has been involved with the atlatl world for many years. 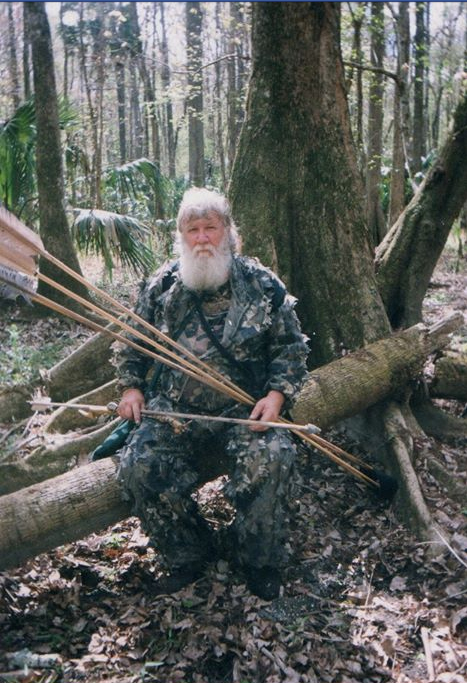 Over the years, he has helped the Thunderbird Atlatl shop greatly with his best friend John Jefferson. 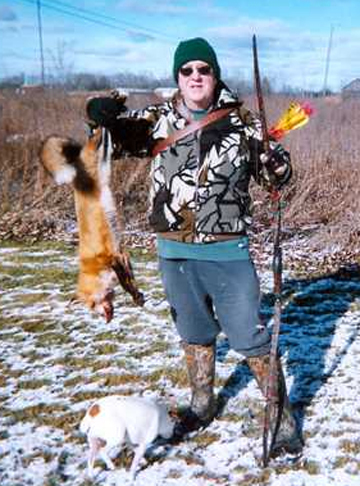 Many of us know Brandon as “Groovy”, a word he used often and a name he called himself. “Groovy” Anderson loved to make atlatls and enjoyed atlatl competitions with his many friends on the atlatl circuit. 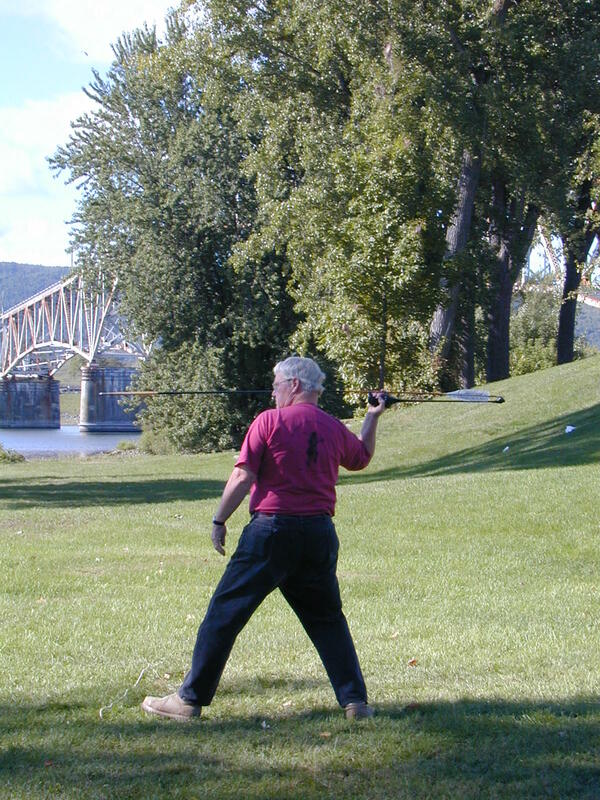 He introduced the atlatl to many people and on his wedding day, atlatls were part of the ceremony. 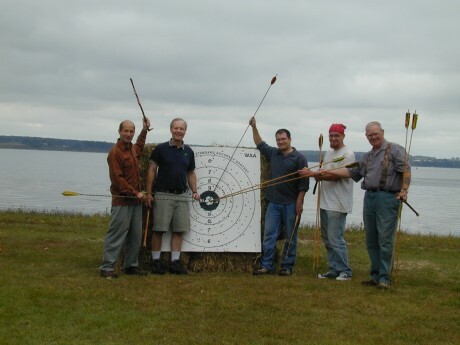 The atlatl world and Brandon’s many friends will miss him. We are all more fortunate for having him in our lives these many years. We did not expect we would be posting so soon after Cheryll’s Dad’s death that her Mother, Helen, had also passed away. On Thursday, June 30, Cheryll’s Mom, Helen, left this life to join her husband, Anthony. Following Anthony’s funeral in June, Cheryll’s Mom, Helen, came home from the hospital to the local hospice program. She was able to be home surrounded by her family and favorite canine companions, Jack and Jill. We celebrate Helen’s life and are blessed that they both were able to spend their final years with us in our home. We are missing them but know they are at peace and together. For our atlatlist and flintknapper friends, Cheryll’s Mom, as was her Dad, was a member of the Secret Ear of Corn Ooga Booga Society! Oooga Booga! Anthony and Helen learned the Oooga Booga secret at The Atlatl Rattle at Green Flats, Casa De Fumo, Hancock, New York (Ray Turner’s) several years ago. Helen’s obituary can be viewed here A memorial service for Helen will be held later this month at the Hancock Baptist Church in Hancock, NY. It’s with sadness and also the joy of celebrating his life that we say good bye to Cheryll’s Dad, Anthony Connolly. Anthony passed away Saturday, May 14, at our home in Candor, New York. Cheryll’s parents have lived in our home for nearly seven years. They moved here from the Catskills in Hancock, NY after living on their own became too difficult despite the support of many wonderful neighbors. We are blessed that Thunderbird Atlatl operates out of a shop in our home, making it possible for us to provide eldercare for our parents here. Obviously, this has not been without its challenges and frustrations over the years; but there have been moments of humor, love and joy. Cheryll’s Dad was a determined soul who could drive us crazy all the while we were proud of that same determination in the face of Parkinson’s Disease. He was an amazingly creative person who has left us a legacy of memories in his writings, wood carvings, photography, paintings and many collections of cameras, rifles, car parts and other assorted interests. We thank all of your for your thoughts and condolences over the past few days. For our atlatlist and flintknapper friends, Cheryll’s Dad was a member of the Secret Ear of Corn Ooga Booga Society! Oooga Booga! Anthony and Cheryll’s Mom, Helen, learned the Oooga Booga secret at The Atlatl Rattle at Green Flats, Casa De Fumo, Hancock, New York (Ray Turner’s) several years ago. Anthony’s obituary can be viewed here A memorial service for Anthony will be held June 4 at noon at St. Paul’s Catholic Church in Hancock, NY.